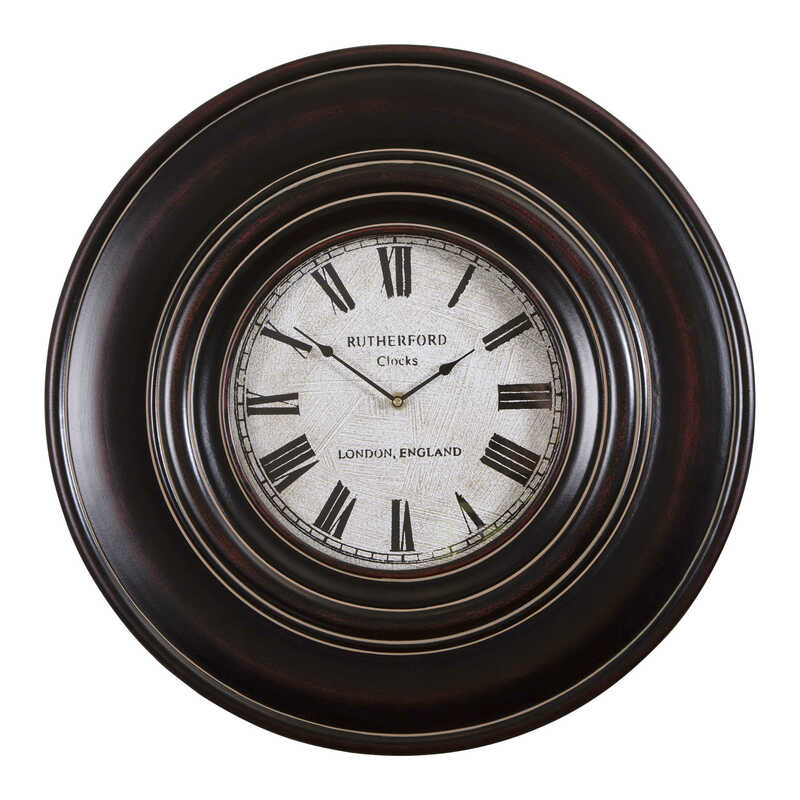 Wall clock featuring a wood frame finished in distressed black with brown undertones and a dark tan glaze. 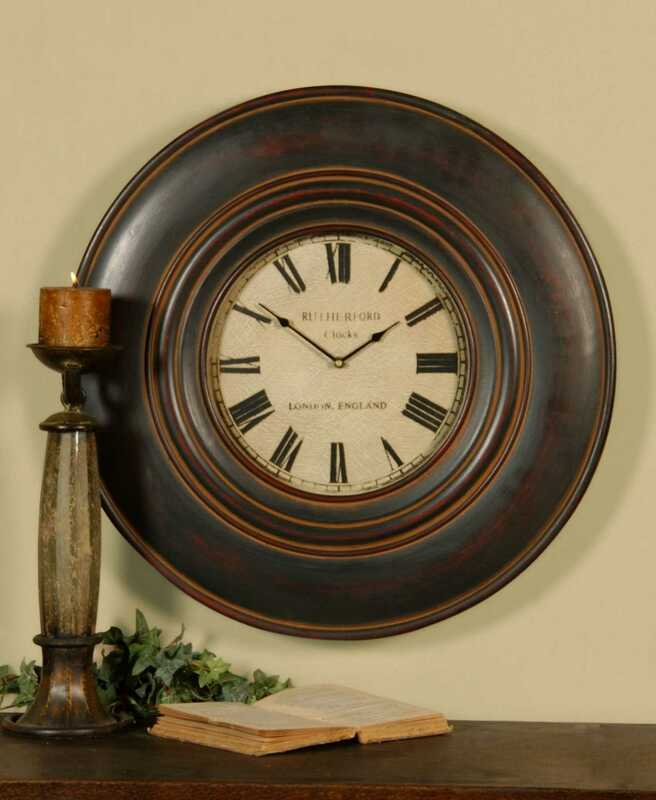 Clock face is aged ivory, with glass protecting the clock face. Quartz movement ensures accurate timekeeping. Requires one "AA" battery.